Canadian Business and PROFIT today ranked Carbon60 Networks No. 218 on the 29th annual PROFIT 500, the definitive ranking of Canada’s Fastest-Growing Companies. Carbon60 also ranked at No. 15 on the fastest-growing IT Companies list. 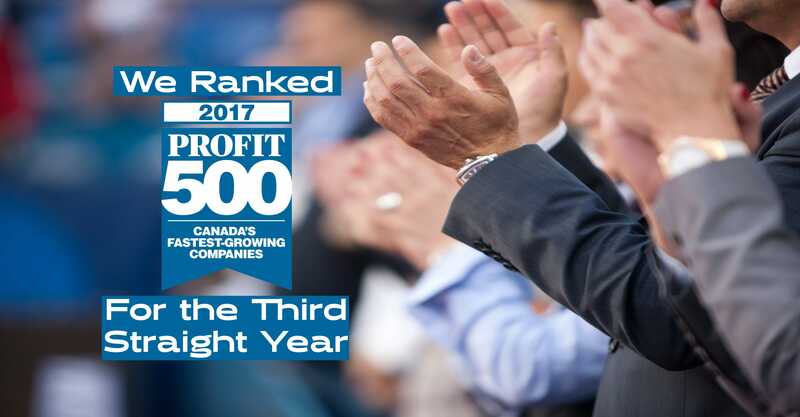 Published in the October issue of Canadian Business and at PROFITguide.com, the PROFIT 500 ranks Canadian businesses based on their five-year revenue growth. “For the third consecutive year, Carbon60 is very proud to be recognized on this prestigious list with so many great Canadian companies,” said John Witte, President and CEO of Carbon60 Networks. “Our customers drive us to build on our continued success while our team strives to deliver exceptional service that sets us apart”. Carbon60 Networks helps customers in Canada and beyond with their business-critical IT requirements and high-profile web platforms with our elevated level of customer support which frees them up to focus on growing their own business. Our customers span across the mid-market and enterprise segments in various industry verticals including financial services, software, healthcare, media and public sector. With multiple managed cloud locations in Canada and partnerships with the major global cloud providers, Carbon60 builds and manages secure, reliable and scalable managed cloud infrastructure solutions to enable organizations to thrive. Carbon60 Networks specializes in delivering “end-to-end” managed hosting and cloud computing solutions for public and private sector organizations with business-critical IT workloads. Our secure multi-origin cloud hosting platform, comprehensive technical support services and comprehensive service level guarantees make us the trusted choice for companies that need a managed hosting partner to deliver deep application-level support along with world-class reliability, performance and security. Visit us at Our Website / LinkedIn / Twitter.